The best way to avoid that mid-afternoon sugar crash is by heading it off before it even gets to you. Getting hangry is no joke. When we're low on fuel, we all too often end up reaching for sugar-filled foods that give us a quick spike of energy and then leave us crashing. Not good! There's nothing wrong with a delicious cookie, but how can you make sure that more of your snacks are infusing your bod with healthy nutrients — and that they actually make you feel good? A few places to begin: For snacks, focus on veggies and fruits along with a bit of fat or protein — that's the best way to ensure you satisfy your craving without the nasty crash. Make sure to eat a filling breakfast to keep you energized throughout the day. And drink lots of water to keep yourself hydrated. 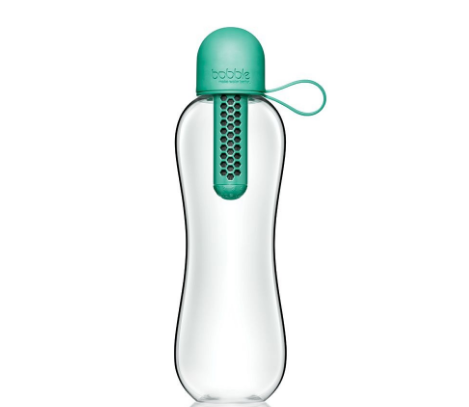 If you want some variety, invest in a bobble Infuse and add your favorite fruits to give your water some punch.